AUGUSTA, Maine — Despite winning majority votes in both chambers of the Maine Legislature, a bill doing away with permit requirements for those carrying a concealed handgun might be holstered because of its price tag. The bill, LD 652, will cost the state more than $200,000 per year in lost permit and fine revenue and could cost as much as $767,000 over the state’s two-year budget cycle based on a fiscal note attached to the legislation. The bill passed the House, 83-62 and the Senate, 21-14. 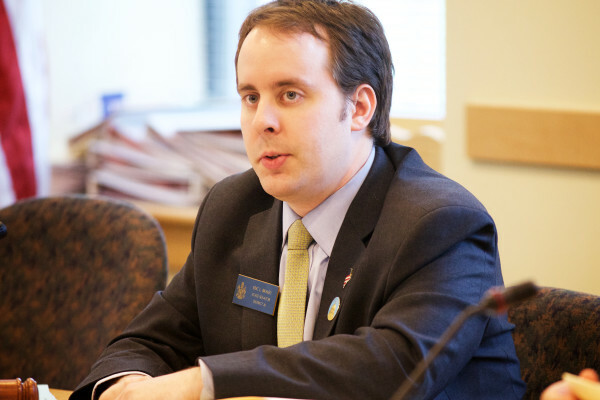 Sponsored by Sen. Eric Brakey, R-Auburn, the bill is parked in the Legislature’s budget-writing Appropriations Committee, which will have to decide whether the state’s next budget, estimated to be a $6.6 billion spending package, will include the new cost. Lawmakers are still in the process of negotiating the budget, and until they finish work on that bill, which controls all state spending, the elimination of a handgun permit requirement will be left unsettled. The cost of the law change is based in large part on the prediction that because people will no longer need to acquire a permit to carry a hidden handgun in Maine, permit revenue will decrease. The bill also will have a smaller effect on the amount the state takes in from fines paid by those caught carrying a concealed weapon without a permit. Brakey said Monday the Legislature’s Office of Program and Fiscal Review was revising the price tag on the bill downward based on new information. Another lawmaker on the Appropriations Committee said Monday he expects the final price tag on the measure will be $100,000 or less, but that cost will have to compete with all the state’s other spending priorities as lawmakers decide which new spending measures should go into the next budget. Brakey said he believes the current cost on the bill is based on the inaccurate assumption that all those with permits now will no longer apply for them in the future. He said other states that removed their permit requirements recently, including Arizona and Wyoming, did not see a dramatic reduction in the number of permits issued. “They were actually pretty flat-line after the change,” Brakey said. Under Brakey’s bill, any adult over 21 or an active duty member or veteran of the armed services who is at least 18 and not otherwise prohibited by state or federal law from possessing a firearm would be allowed to carry a concealed handgun in most public places without a permit. The change would see Maine join a handful of other states, including Vermont and Alaska, that allow a concealed firearm to be carried without a permit. Maine’s current law allows for “open carry,” where a firearm is carried on the outside of a person’s clothing and visible. Under current state law, carrying a concealed handgun requires a permit including a demonstration that the permit holder has participated in some minimal handgun safety courses and has cleared a mental health and criminal background check. The state collects a permit application fee of $35 for Maine residents and $60 for nonresidents. Resident permits are renewed for $20 and nonresident permits are renewed for $65. Permits are good for four years and are issued by either the Maine State Police or local police. Although in some towns the Board of Selectmen also can be the issuing authority. Under Brakey’s bill, those who want a permit can still obtain one and many may want to retain their current permits because it allows them to also carry a concealed handgun in eight other states that recognize Maine permits. In the last four years, the Maine State Police have issued 36,000 permits, according to testimony offered to the Legislature’s Criminal Justice and Public Safety Committee earlier this year. Brakey and the bill’s supporters argue that the Maine and U.S. constitutions make it a right to keep and bear arms and that requiring a permit to do so is an infringement upon those rights, although the U.S. Supreme Court has ruled, in a number of cases, that state gun-permitting laws are constitutional. Opponents of the bill say Maine’s permit system requires those carrying concealed handguns to at least undergo handgun safety training and education about the legalities of carrying and possibly using deadly force against another. Elimination of the permit requirement is supported by Gov. Paul LePage and has been a decades-long goal of gun rights groups and conservative Maine lawmakers. LePage has even signaled his support for a constitutional challenge in California to repeal that state’s concealed handgun permit law. Maine lawmakers also are considering another bill, offered by Rep. Mike Shaw, D-Standish, that would make the state police the only agency to issue concealed handgun permits in Maine. Shaw’s bill, LD 823, also would direct all the revenue from permits to the state police. Shaw’s bill also expands the number of states Maine would share concealed handgun permit reciprocity with to 28. Shaw said Monday he believes the change would make more people likely to keep their concealed handgun permits up to date and would add value to those seeking a permit for the first time. Shaw said his bill could offset the lost revenue predicted under Brakey’s bill and would create a consistent permitting process in Maine. Shaw’s bill passed in the Maine House of Representatives last week and is expected to come before the Senate in the days ahead.